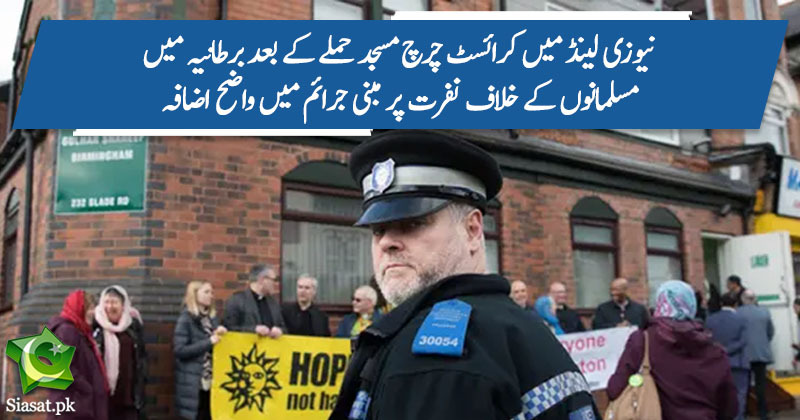 The charity Tell Mama said almost all of the increase comprised incidents linked to the Christchurch attacks last Friday, and there had been more recorded hate incidents in the last seven days than in the week after the 2017 Islamist terrorist attack in Manchester. According to figures passed to the Guardian, 95 incidents were reported to the charity between 15 March, the day of the New Zealand atrocity, and midnight on 21 March. Of those, 85 incidents – 89% of the total – contained direct references to the New Zealand attacks and featured gestures such as mimicking firearms being fired at Muslims. Most of the incidents recorded by Tell Mama were carried out in person rather than online. Perpetrators either thought they would not be caught or were so emboldened that they were not concerned about possible consequences, according to the charity. Furthermore, the figures count only abuse directed at Muslims who then report it to a charity well known in Britain’s Muslim communities. Incidents directed at other ethnic minorities have not been recorded or included in the figures. The week after the Manchester attack the charity recorded the highest week-on-week increase in the number of hate incidents – a 700% rise. But more hate incidents were reported to the charity last week. No 2 Muslims need to move in to Media international level instead of paying 40 billions in advertising reform the media fair reporting, decomentary programmes, big punishment fir fake news, lying, Lafafa journalist. Stop begging money from IMF world banks and rich countries like America so they don’t treat you like servants treat equally when you strong your selfs. No 3 Muslims need to get there houses in order instead of blaming every one else Apart from them selfs. Look in the mirror and ask where are we going wrong. In Muslim countries, corrupt leaders are killing Muslims by increasing gas prices and inflation and in non Muslim countries, extremists and terrorists are killing Muslims.